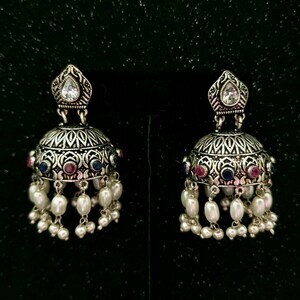 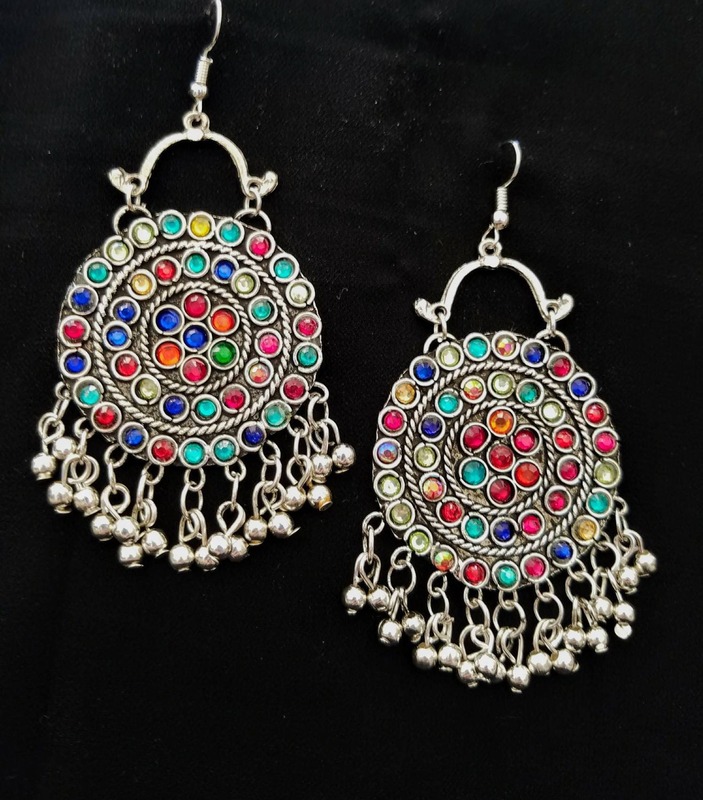 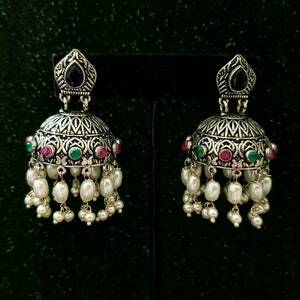 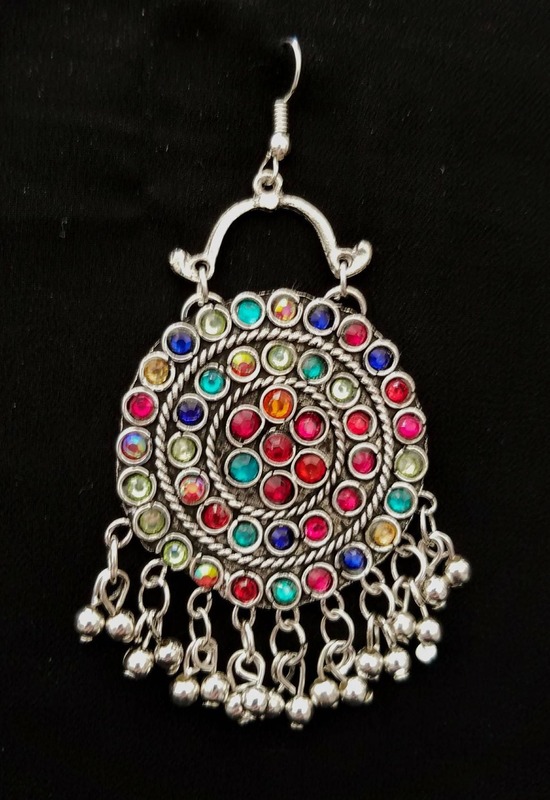 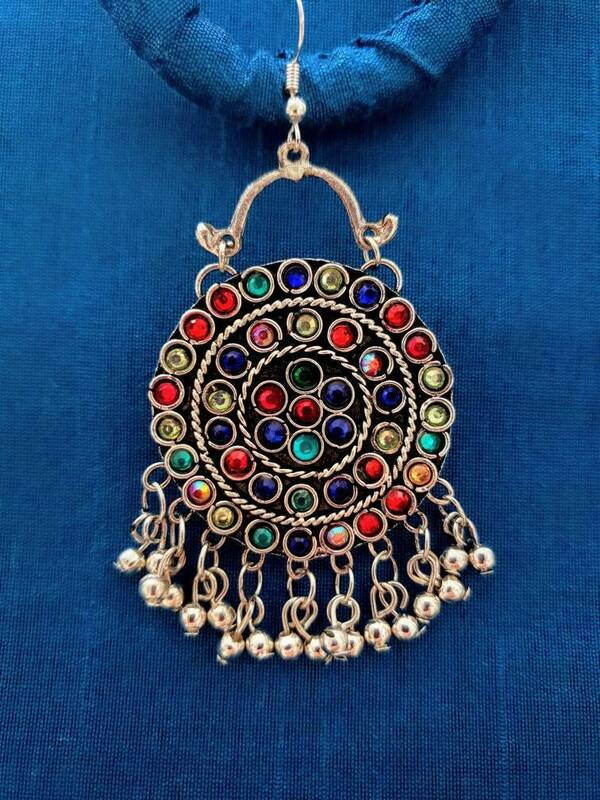 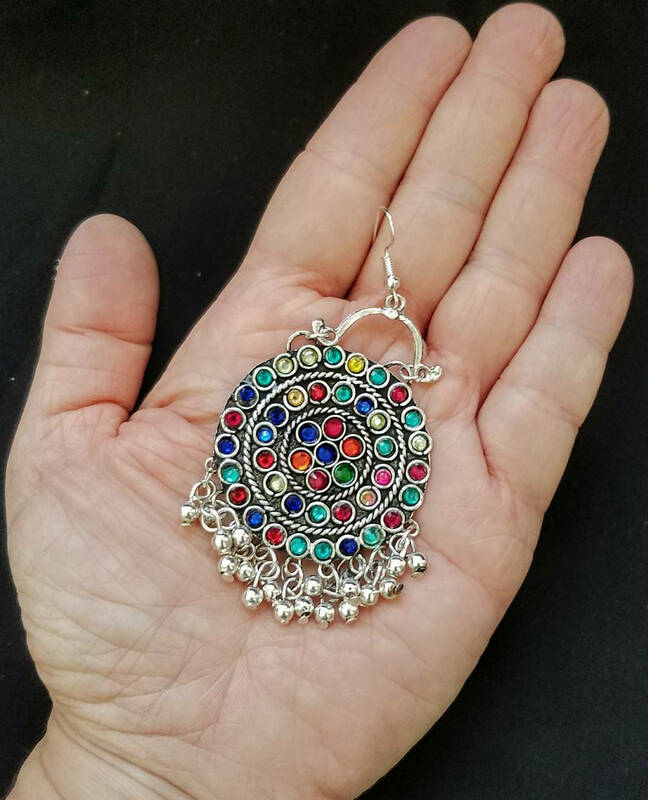 Handcrafted rainbow colored round Afghani earrings in oxidized silver color, so as to create the patina of a vintage tribal piece. 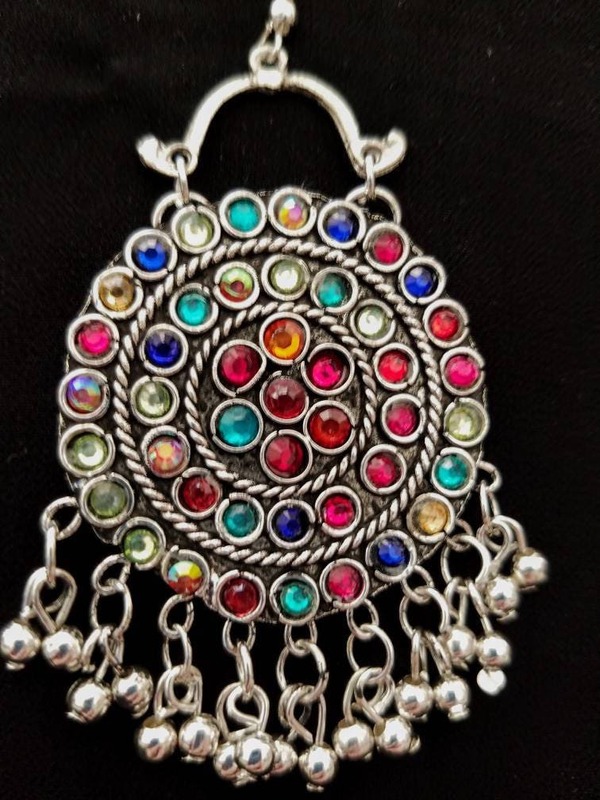 Detailed and fine craftsmanship, lovely twisted rope detail. 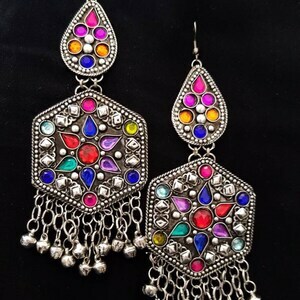 Versatile - can go casual or dressy with these eye-catching earrings. 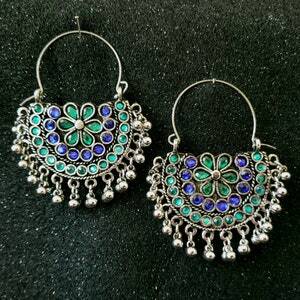 Guaranteed to match ANY outfit! 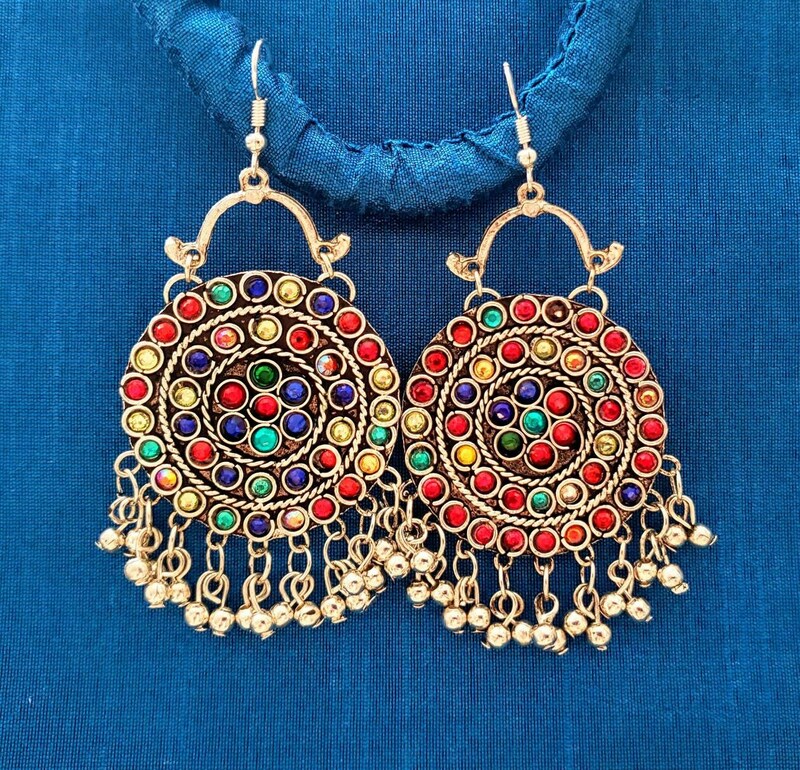 Earrings face the front, so you get the full effect!